Watch hours of Duck Dynasty, Storage Wars, The First 48 and more. All your favorite A&E shows are available wherever and whenever you want, right on your iPad, iPhone or iPod touch. 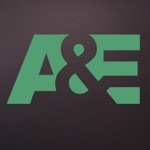 The A&E app is a great new way to access full episodes and clips from all that A&E has. New content is added all the time. PLEASE NOTE: A&E CONTENT IS ONLY AVAILABLE TO STREAM IN THE UNITED STATES. •Watch full episodes and clips of your favorite A&E series including Duck Dynasty, Storage Wars, The First 48 and many more. •Create a customized Watchlist of your favorite shows. This app has a 4.5 star rating (17129 ratings). It occupies the 6755th position in our ranking with 79 points. It is among the 1% best ones of its category and among the 1% best ones of the overall top.